In Russia, the initial euphoria of the Bolshevik leaders for a new socialist society ... combined with a commitment to a truly universal health care system, gave a huge boost to the emergence of both the eugenic and medical aspects of human genetics. The obstacles that proved so formidable to the successful launch of the field in the Westthe lack of available data on the genealogy of diseases in families, the difficulty in getting a statistically significant number of identical twins to study, and the skepticism of the medical establishmentwere all swept aside in the Soviet Union. In the 1920s ... the groundwork was laid for a uniquely Russian approach to medical genetics and (the foundation of) the worlds leading center for the study of the genetic basis of many diseases and human genetics in general. The immense success of the movement, which is little known even to Russians, is brought to life in V.V. 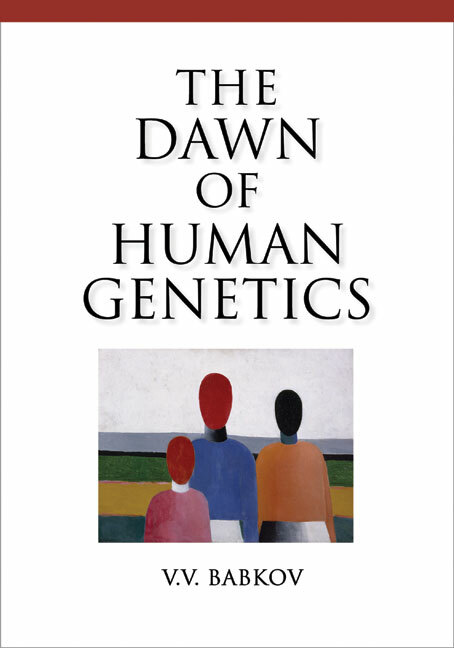 Babkovs The Dawn of Human Genetics, as is its dramatic and violent end, which resulted in the liquidation of many of the countrys finest biologists, as well as a major setback to the development of world science. Like many other promising ideas and projects that were born in the Soviet Union, this one was abruptly truncated and then virtually eradicated.